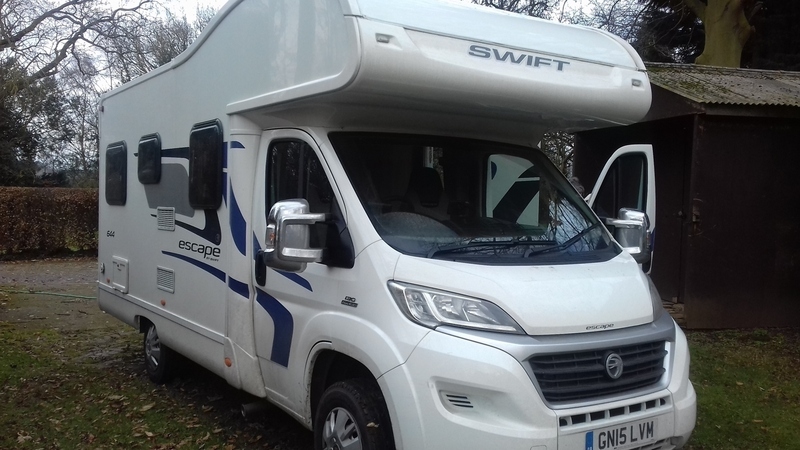 A luxury 4 berth vehicle. 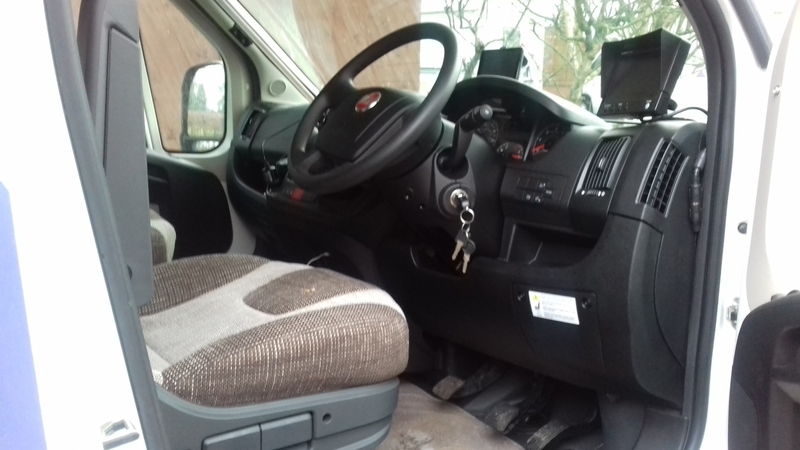 A standard car licence is adequate for this vehicle. 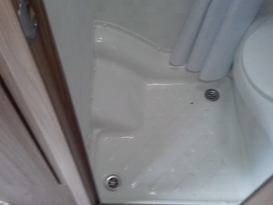 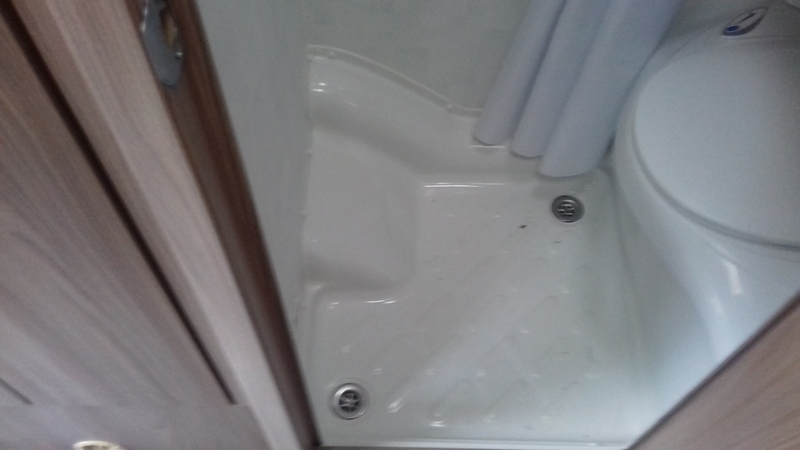 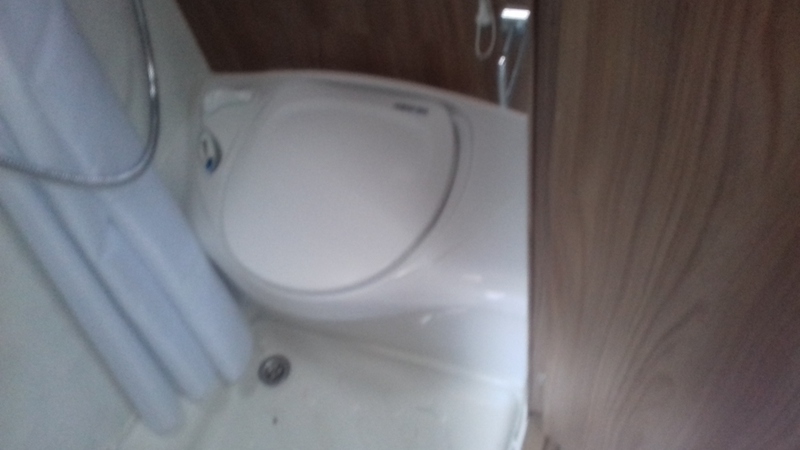 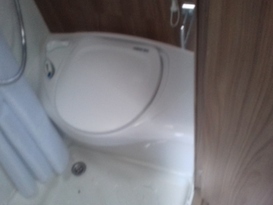 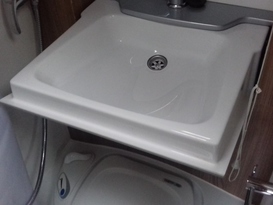 Features include a Wash room with Wash Basin, Shower and electric flush Toilet. 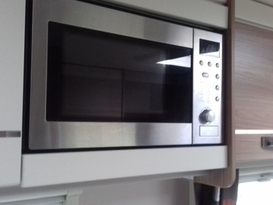 Dining area seats 4. 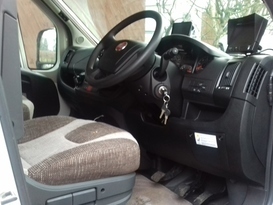 The two drivers cab chairs swing round to face the table. 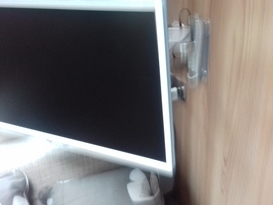 The table can also be mounted at the rear of the vehicle in the U shaped sitting area. 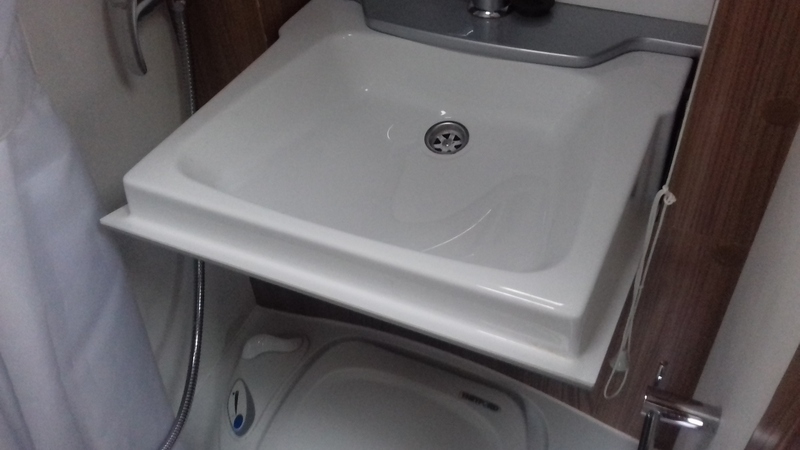 This area converts into a double bed. 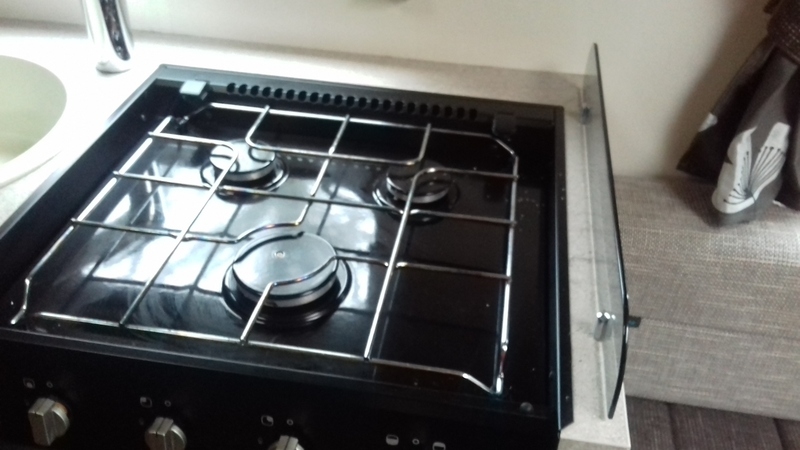 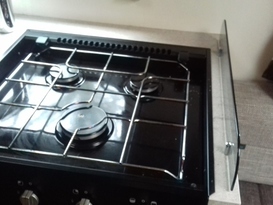 The Kitchen has an integrated cooker with Hob, Grill and Oven. 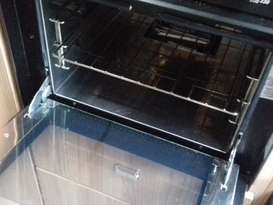 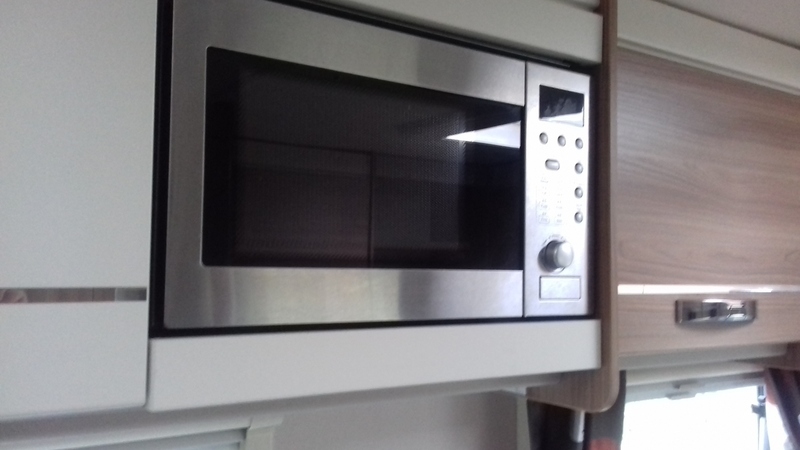 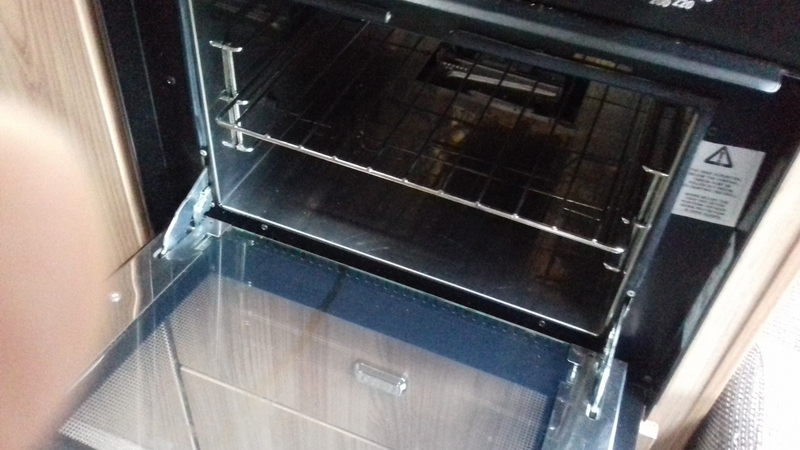 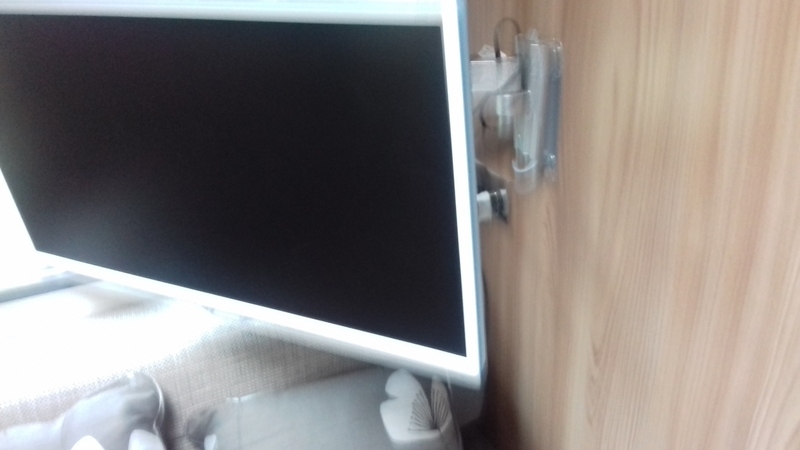 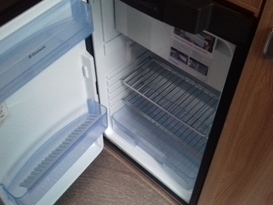 A fridge which has an ice-box and works off the engine when running, mains electric when connected to the mains and Gas .A built in Micro wave is also available and runs off Mains electricity as does the TV. 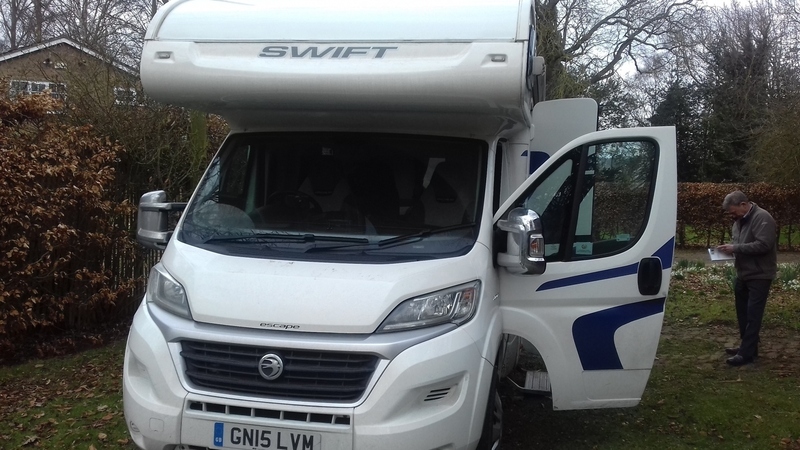 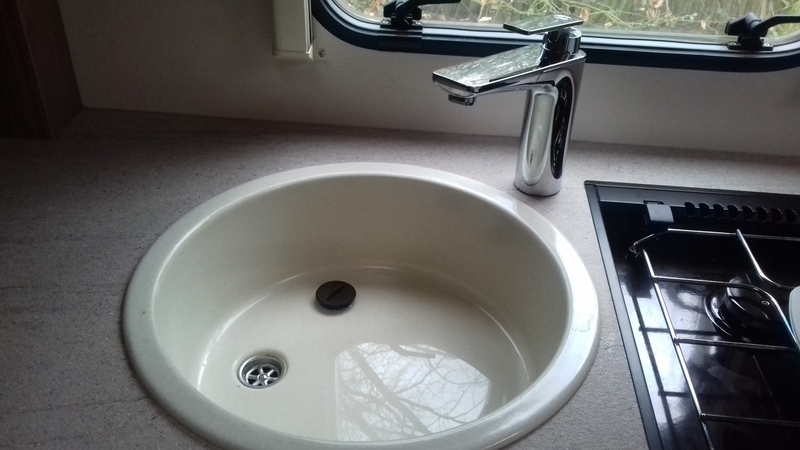 The vehicle comes fully fitted out with all cutlery, cooking items, plates etc with electric kettle and toaster for use when connected to the mains electric supply. 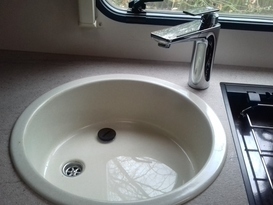 Full heating and hot and cold water is available. 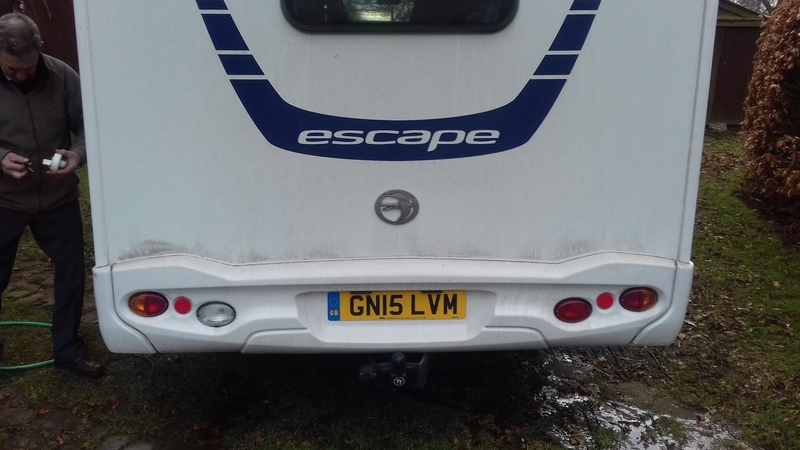 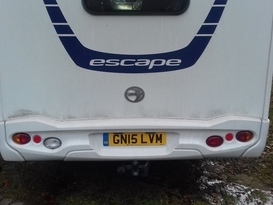 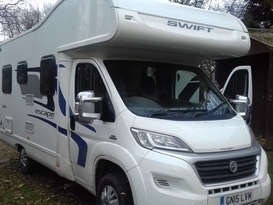 This Vehicle is available together with the fleet of 4 berth, 6 berth and 7 berth Motorhomes as well as our 4 berth VW Camping Car at Glasgow Airport. 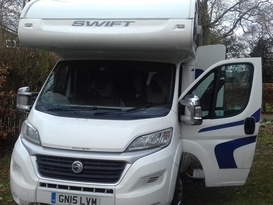 We also offer our fleet at GLASGOW, EDINBURGH, NEWCASTLE, LEEDS< MANCHESTER< STANSTED< HEATHROW and GATWICK Airports. 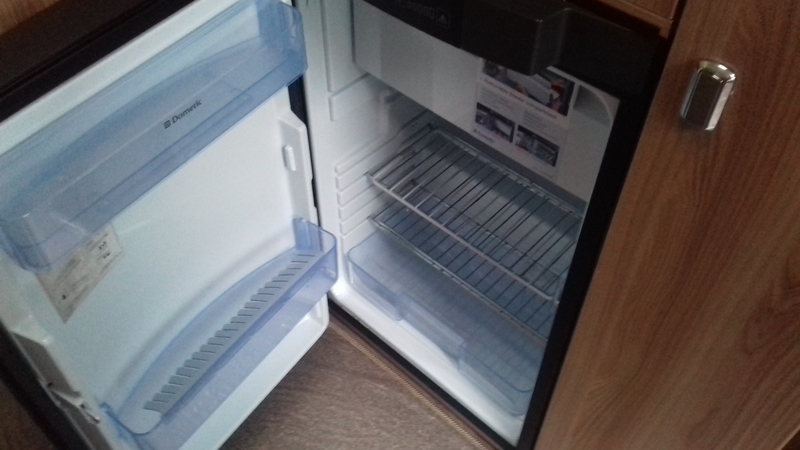 We make a charge of £80 for delivery and £80 for collection.